Today in Los Angeles, we had our corporate debut of a new and exciting service we are calling Doodles in Motion. Inspired by the impact of Cognitive Media's RSA videos, we have been experimenting with layered digital painting, video projection and graphic facilitation. 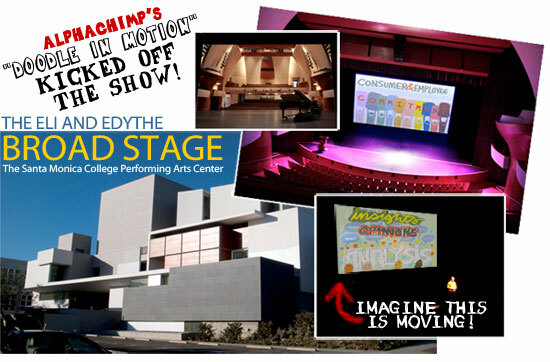 As the kick-off to their all-company meeting, our client commissioned us to bring their 2011 mission and vision to life in a 6-minute animation, which played to a packed theater at the Santa Monica College Performing Arts Center. The results are a colorful and engaging alternative to PopwerPoint or a live graphic recorder. And of course, can be used in combination! Contact us for more information or to start collaborating on your own Doodles in Motion video.